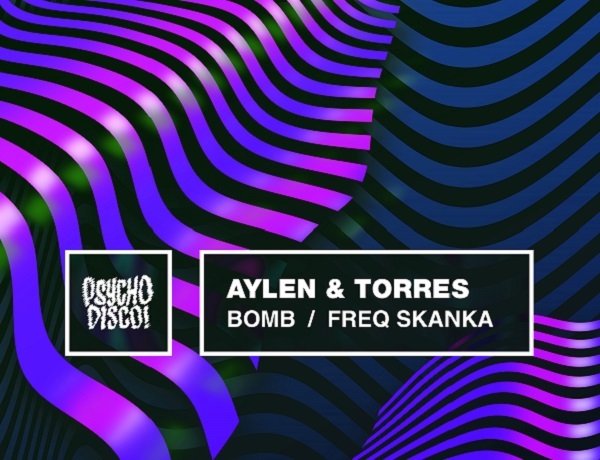 Aylen & Torres – Bomb / Freq Skanka – Psycho Disco! Stacking upon the recent heat rock “Cool Kicks”, a standout on our recent Psych 202 compilation, Aylen is back & he brought collaborator Torres with him. The lead track, “Bomb”, is a true floor smasher powered by a thick groovy bassline, big tech stabs & brain-warping synth freak-outs on the final drop. “Freq Skanka” follows up with a relentless low-end groove, accented by techy percussive work-outs sprinkled on top. We hope to see these two collab way more often if this is outcome.